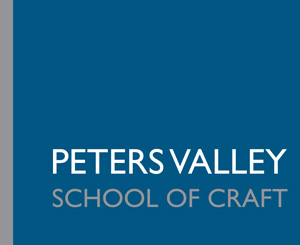 Items purchased through the Peters Valley Gallery, on-line and in-store, may be returned for Store Credit within 30 days of the date purchased. Store Credits are valid for one year from the date issued. You can return an item to the Peters Valley Gallery in our store or by mail. In Store: Simply bring your item(s) and receipt to our store located at 19 Kuhn Rd, Layton, NJ 07851. Contact the Peters Valley Gallery by calling (973) 948-5202 or emailing us at gallery@petersvalley.org to let us know you would like to return your item(s). You, the customer, are responsible for return shipping costs and insuring the work during its return shipment. If items are not insured and are lost or damaged during shipping, the Peters Valley Gallery is not responsible for replacing items, or processing the return. Once the Peters Valley Gallery receives the returned item(s) you will be issued a Store Credit, valid for one year. You can purchase items online or in our store with this Store Credit.